Kerry W. Given, Ph.D., aka Dr. Duke, coaches stock and options traders one-on-one and is a frequently invited speaker at the Money Show, Traders Expo, and the Forex and Options Expo conferences. He has over thirty years of experience trading in the equity markets and has traded options in his stock portfolio and for income generation since 1999. His formal finance training includes graduate level business and finance courses and advanced options training at the CBOE Options Institute. Parkwood Capital, LLC was founded in 2007 with the mission of providing honest and realistic financial education to individuals just like you. Dr. Duke's most powerful marketing comes from his students. Have you taken some of the popular two day seminars that promise to triple your money in three weeks, or enable you to give up your job and trade full time? Many of our clients did take those courses and found that they still couldn't find success in the markets even after spending thousands of dollars on education. Dr. Duke helps his students take the next steps and turn their trading into a cash generating business. He does not sell "get rich quick" schemes. In fact, he "debunks" many of the common misconceptions about stock and options trading. It is possible to generate a steady income from the markets year after year and Dr. Duke can show you how. Dr. Duke's new book, No-Hype Options Trading, published by John Wiley and Sons, is available on Amazon. Check out the customer reviews posted on Amazon and this website. An early reviewer praises Dr. Duke's book as, "the best introductory book on options that I've ever encountered". Dr. Duke explores non-directional trading of options in his latest book, Time Is Money, available on Amazon. 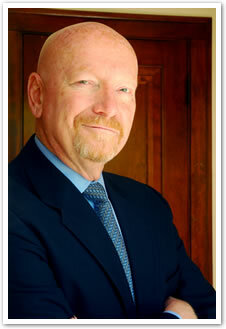 Dr. Duke will work with you to develop the trading style and plan best suited for you and your situation. Services include face-to-face coaching, private webinars, group classes via webinar, and customized coaching in the areas of investing in stocks, exchange traded funds, mutual funds, stock options, and index options. He will teach you to understand the financial markets, know the risks of your investments, and manage that risk. Dr. Duke is unique in the options education area in one crucial respect: he practices what he preaches. You can follow his daily blog and track his performance in Dr. Duke's Trading Group, the Conservative Income service, Flying With The Condor™, and The No Hype Zone Newsletter. All track records are published in the free downloads section of this website. Dr. Duke is one, if not the only, options educator who posts his trades in real time so you can follow the results. Contact us for more information about any of these services. References are available. Try Dr. Duke at no risk. If you are disappointed at the end of your first coaching session, we will refund 100% of your money. I like your interviews on the Money Show. You don’t come off as a know-it-all or I’m better than you because I know this and you don’t. You’re calm, speak clearly, and simplify what can be a confusing subject. Well done.